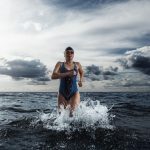 Challenge Family is the fastest growing global long-distance triathlon series, which now has two new races in Mexico: Challenge Baja and Challenge Cancun. 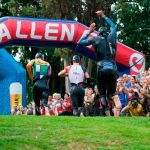 Challenge Family hosts spectacular events that take place in strategically chosen locations, all while giving triathletes the full experience. Participants of these events can compete, enjoy with their family, create unique moments, and practice sports in the top destinations of each country where Challenge Family is present. Challenge Family was born in Roth, but it now includes many of the world’s greatest races. 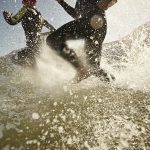 All the Challenge Family events offer spectacular locations, unique courses, and vibrant communities. We Are Triathlon is the slogan for Challenge Family because it includes everyone who’s participated in our events: that’s why we have different categories for every family member. In our events, everyone has their own competition, a great variety of distances, and activities that make it perfect for the entire family. Come and join our community! Register now to Challenge Baja and Challenge Cancun! Ensenada (Baja) is a fantastic venue to provide a spectacular final to your triathlon season, while Cancun will be an amazing season opener where both could be nicely combined with a Training Camp or Family Holidays. 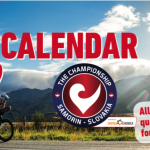 At both races top 6 male and female in every age group will qualify for THE CHAMPIONSHIP to be held on June 2nd 2019 at the x-bionic sphere Samorin, Slovakia as well as top 5 male and female professional athletes. Ensenada is blessed with an idyllic location, endless fresh seafood, and perfect weather for triathlons. In Ensenada you’ll come face to face with whales as they swim by the Bay of Todos los Santos. A perfect excuse to race #ChallengeBaja and experience this magical moment. 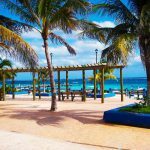 Cancun has so much to offer, it’s a place you need to visit at least once in your lifetime. Also is considered as the heart of the Mexican Caribbean…so what are you waiting for? Register now, #ChallengeCancun is the perfect excuse.